My all-time favorite salad is Caesar salad. To most people including me this is the king of salads. Caesar salad is named after chef Caesar Cardini who created it in his restaurant in Tijuana, Mexico in 1924. The best Caesar salad in Kuwait in my opinion is from Buongiorno. I love the freshness of their salad and the dressing is of the right taste and consistency….chewah! macam food review la pulak muahahaha. Anyway, since I love the salad so much, I think it is silly for me not to try to make my own salad, so I started surfing the internet and I found lot of recipes but most of them use raw egg yolk and since I’m not sure that the egg in my kitchen is always fresh (risk of salmonella bacteria) , I substitute raw egg yolk with mayonnaise. Instead of using raw egg you can also use coddled egg. To make coddled egg yolk you have to place a room temperature egg into a small bowl and pour boiling water around the egg until it is covered and let it stand for 1 minute and then take it out and use in the recipe. Anyway, I stick to mayonnaise just to be on the safe side. OK…lets see my version of Caesar Salad. Homemade croutons : Preheated oven to 175 C. Dice the bread into 3/4 inch cubes. Toss with enough olive oil and spinkle lightly with salt and spread out on baking tray. Bake about 10 – 15 mins or until golden brown. Halfway through the baking, give the pan a shake to make sure the croutons toast evenly. Remove from the oven and cool completely. Caesar salad dressing : Whisk together the garlic, anchovy, pepper and salt until combined. Add in the Worcestershire sauce and lemon juice. Whisk in the mayonnaise and the slowly drizzle in the olive oil with one hand while vigorously whisking the mixture with the other. When the dressing is well combined, whisk in the Parmesan cheese. 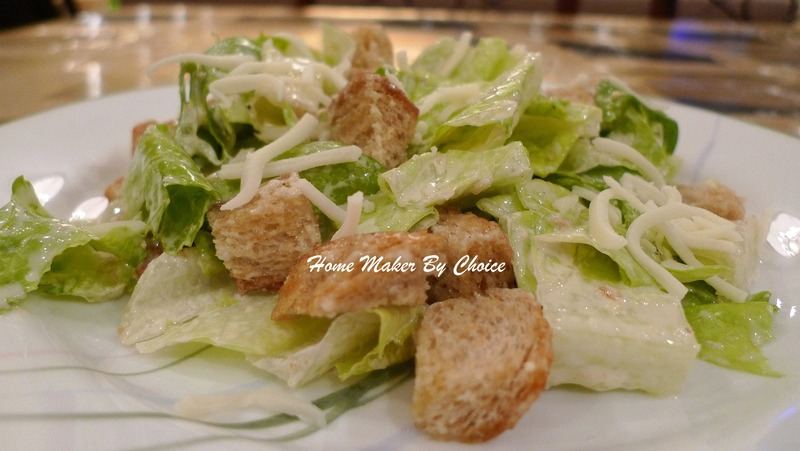 Caesar Salad : Separate Romaine leaves and discard the coarse outer leaves. Wash, drain and pat dry with paper towel. In large salad bowl, add 1/3 of the caesar salad dressing and toss with the croutons untill well coated. Add the Romaine lattuce pieces and the reamining of the dressing and toss until coated. Sprinkle the freshly grated Parmesan cheese. Today is the day my Jasmine turns 7. 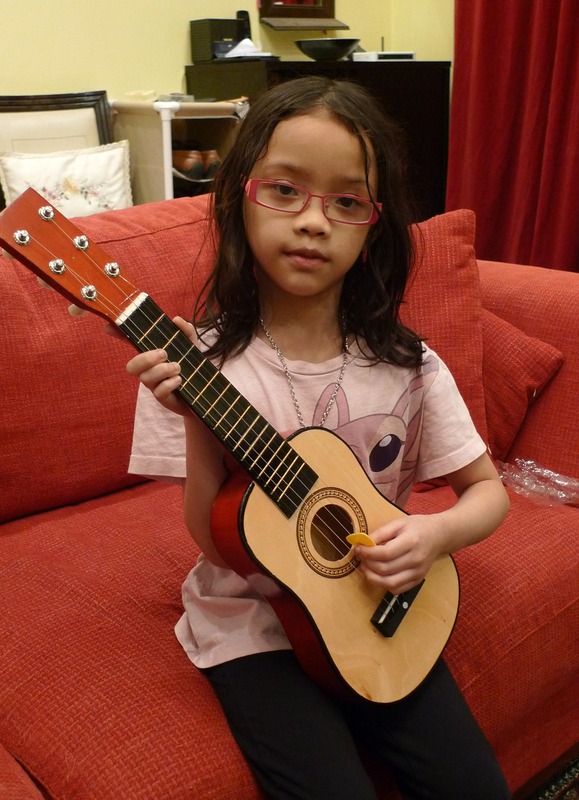 She’s been bugging me since last week to bake her a guitar cake for her birthday and she even googled it for me on how to make one. Everyday she keeps on reminding me to watch the video and after awhile I have to give in to her wish. I am not good at all in decorating cake, so hari berpeluhla jugak nak men-decorate cake ni, tapi apa nak buat… birthday punya pasal… The finished product was a bit messy but I’m glad that she loved it. I baked the cake a day ahead so that I can chilled it before cutting it into a guitar shape. Eventhough the decoration is very poor but the cake was moist and delicious. This is my first time baking this cake after looking at Rima’s blog. You can surf her blog to see how to best decorate the cake. Here is the recipe. Sieve flour, cocoa powder, bicarbonate soda, salt, and set aside. Beat butter with sugars until light and fluffy, add egg. Add dry ingredients (flour, cocoa powder etc) alternately with liquid ingredients (buttermilk + warm water) in three portions. Add vanilla extract and continue to mix till well blended. Bake for about 30 minutes or until just cooked. Last night I decided to make a roast chicken again….I was not feeling rather motivated to cook because the night before Haqeem woke up at 2:30 am and decided to watch tv and I was up with him until 6:30 am. I did dozed off every now and then between those 4 hours but mostly up because he did make sure that I’m not asleep by switching ON all the lights or poked your eyes until I opened it. Anyway I was lucky because yesterday was Easter Sunday and the school gave the children a day off, so I decided to go back to sleep after my other half went to work or rather when he was getting ready to go to work he he he. This recipe I took from Ina Garten and I tell you it is a very simple recipe to follow, totally fool proof and absolutely delicious. The carrots and onions came out gorgeously caramelized, the skin was golden crisp and the breast was so moist and had the best flavor! 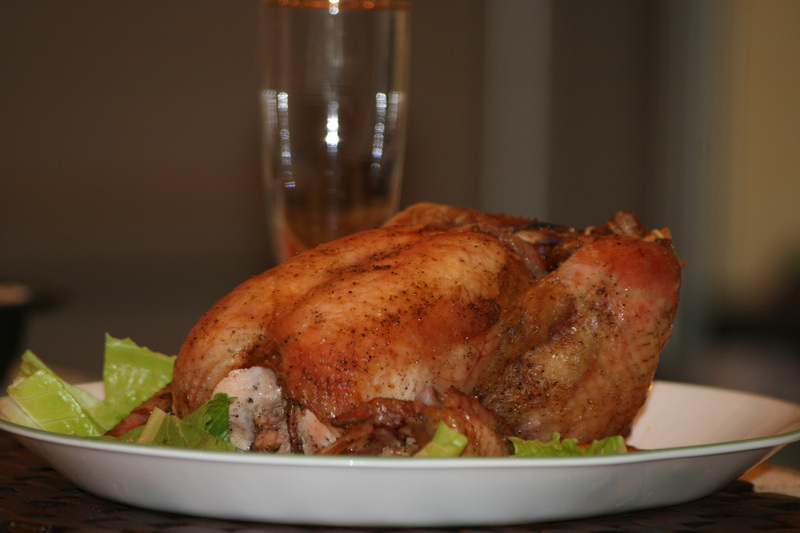 Last night was the 3rd time I make this roast chicken and this is absolutely must keep recipe. Let’s check out the ingredient! Preheat the oven to 22o C.
Remove the chicken giblets. Rinse the chicken inside and out. Remove any excess fat and leftover pin feathers and pat the outside dry. Liberally salt and pepper the inside of the chicken. Stuff the cavity with the jalapeño, both halves of lemon, and all the garlic. Brush the outside of the chicken with the butter and sprinkle again with salt and pepper. Tie the legs together with kitchen string and tuck the wing tips under the body of the chicken. Place the onions and carrots in a roasting pan. Toss with salt, pepper and olive oil. Spread around the bottom of the roasting pan and place the chicken on top. Roast the chicken for about 1 1/2 hours, or until the juices run clear when you cut between a leg and thigh. Remove the chicken and vegetables to a platter and cover with aluminum foil for about 20 minutes. Slice the chicken onto a platter and serve it with the vegetables. This fried bun or roti goreng is one of my favourite kuih. I still remember masa kat Msia dulu, every Saturday after sending my other half to office in KL, I’ll always stop by at this Pasar Tani (Morning Market) in Jalan Ipoh (somewhere near the PNB, I think… not that good in road’s name) and bought this fried bun and also cakoi…. well, among other things he he he. I love pasar tani! You can get all the fresh vegetables and fruits and not to mention all kind of breakfast; nasi dagang, nasi kerabu, laksa, laksam … just name it and you can get it there. Hmmm.. how I miss all those food, not that can’t make it here but the idea of being able to just go and buy them is really fun. Well, have to wait till June then! In the mean time, let see the ingredient for this fried bun shall we! Red Bean Paste : Open the can and drain the red beans. Place the bean in the blender and blend till smooth. Pour into a pan and add sugar and oil. Cook till thicken. Set aside to cool. Dough : Mix flour, sugar and salt in a bowl. Mix well. Make a hole in the middle , pour milk and yeast and mix them together. Then add butter and mix well combine. Knead until it does doesn’t stick to your hand. Make a ball and cover the bowl with cling film and allow to rise for 1-1 1/2 hours…. OR like me you can mix everything into the BM and select DOUGH and press on. 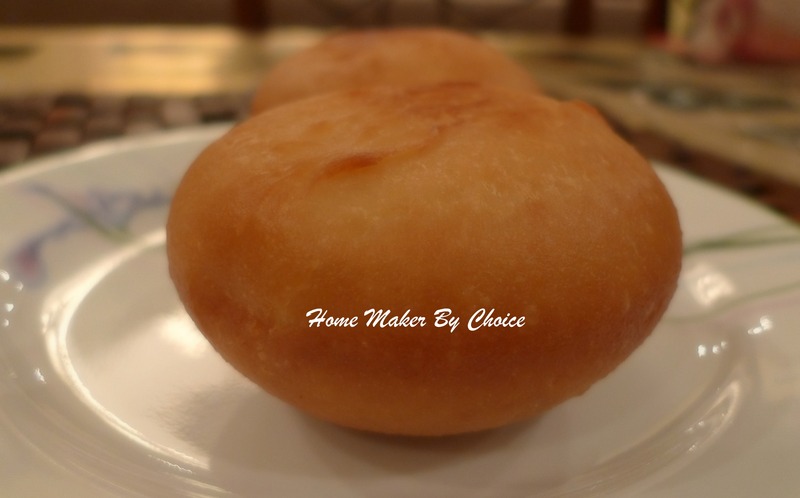 Fried Bun (Pau Goreng) : Take out the dough and punch to release the gas. 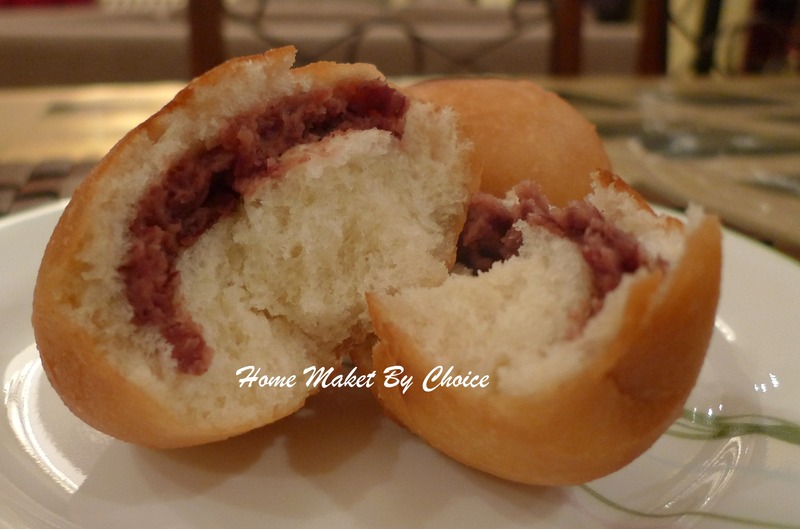 Make a small balls about half size of a tennis ball and you add red bean paste or you may add your favourite filling. Allow the bun to rise for at least 30-45 min. Fry until it turns golden brown. Take out and let them cool on a paper towel for few minutes before you can enjoy it with your tea. Yesterday’s message from Daily Reminder : ” You think you are strong? Try lifting up your blanket at fajr time! “. Indeed the hardest thing to do simply because it occurs at a time of rest and deep sleep. You need all the strength that you have to wake up and perform your fajr prayer. Here in Kuwait, our current Fajr prayer is about 3:51 am and by the time Ramadhan starts fajr will be at 3:12am…masyaallah! May Allah give us strength to perform our prayers regularly, punctually & timely without any miss, insyaallah. Talking about Ramadhan that is coming soon, I would like to share a simple recipe that is great for sahur. This achovies have a sweet, sour and spicy taste that will definitely improves your appetite during sahur. Wash the anchovies and pat dry with kitchen towel. Mix the anchovies with the tapioca flour. Shake the excess flour and fry the anchovies till golden. Set aside. Heat up the sesame seed oil in a heavy base pan. 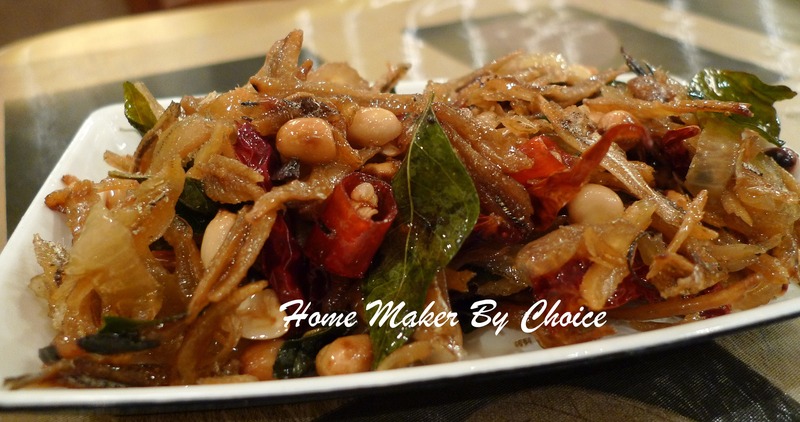 Fry the dried chilies, small Thai chilies, onion and curry leaves for few minutes. Add the lemon juice, fish sauce, water and honey. Cook till the sauce thicken. Add fried anchovies, peanuts and sesame seeds. Mix well. Ready to serve. This week will be a very busy and tiring week for me because my washing machine just broke down last Friday. Well, to tell you the truth, if I were that washing machine I would break down long time ago he he he. I guess besides the drier, that washing machine have been working the hardest compared to the rest of the electrical appliances in my household; with 5 kids and 2 adults in the house, can you imagine how many loads of washing need to be done in a week? Just do the math here people! He he he. I have already called the the service center and thank goodness it is still under warranty but the bad new is they won’t be able to come until tomorrow. Well…I guess you have to do what you have to do! Moving on to today’s recipe… actually I made this over the weekend and the cookies were delicious. This recipe is taken from my friend’s blog and you can check the original recipe here. 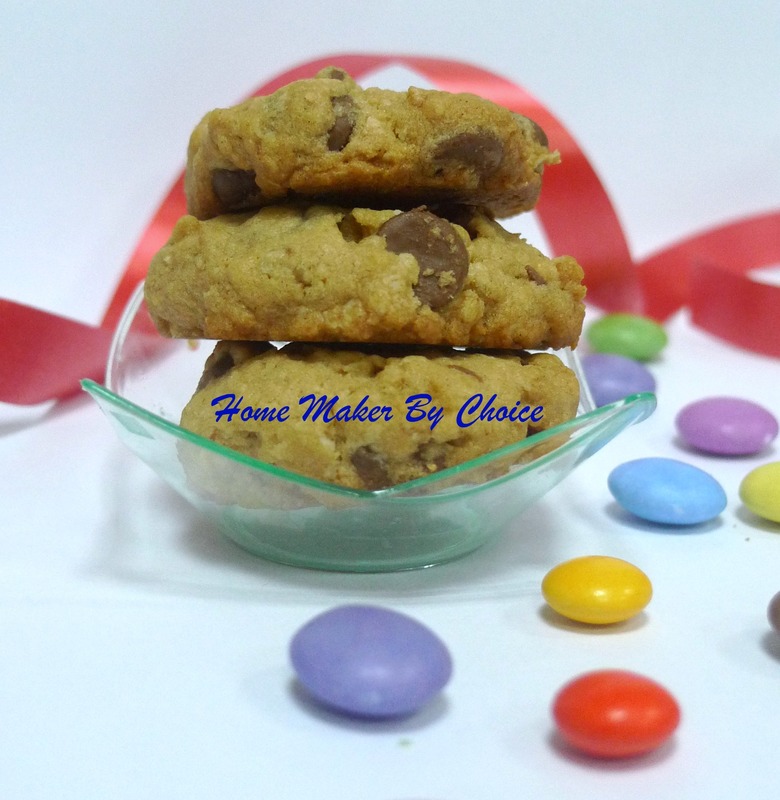 This recipe calls for a NESTUM and unfortunately here in Kuwait we do not have the NESTUM like the one in Malaysia. I did go to Lulu Hypermarket, Jabriya Coop and Sultan Center to search for the NESTUM but they only have the fancy ones which if I may say, are overly priced. Just imagine a small tin of Milupa Cereals cost about KD 1.700, that is closed to RM20! Just forget about it, so I substitute the NESTUM with the white oats and I think it turned out great. Here is the recipe. Mix all the ingredient A in a bowl and set aside. In a mixing bowl, cream the butter and sugar till light and fluffy. Add egg and vanilla essence. Mix well. Fold the mixed ingredient A into the batter. Mix well. Spoon 1 tsp of dough into the baking tray lined with parchment paper or slip pad. Bake for about 10-12 minutes or until golden brown. 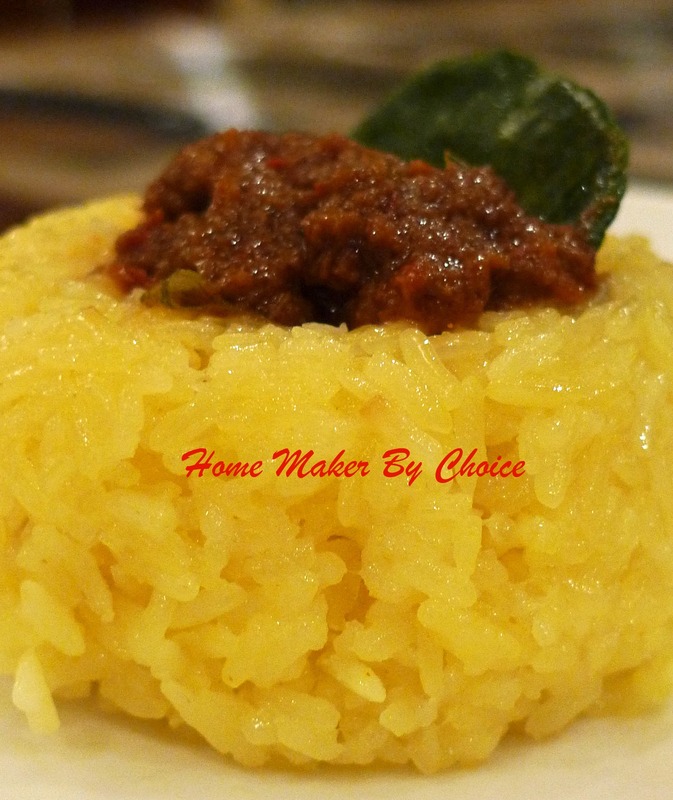 Today’s recipe is pulut kuning. Traditionally pulut kuning is served only on ceremonial events or special occasions such as Eid, weddings, engagements and at celebrations concerning newborns (bercukur or berbuai) and also when a child completes his or her learning of the Quran. This Pulut Kuning is normally served with rendang or serunding. Wash the glutinous rice and then soak the rice with turmeric powder and tamarind peel for few hours. Drain the rice and take out the tamarind peel. Prepare the steamer and then place the rice and the pandan leaf into the steamer pan. Steam for 10 minutes. Remove the rice from the steamer and place in a bowl and pour in the thick coconut milk and mix well. Transfer the rice back into the steamer pan and steam for another 10-15 minutes. 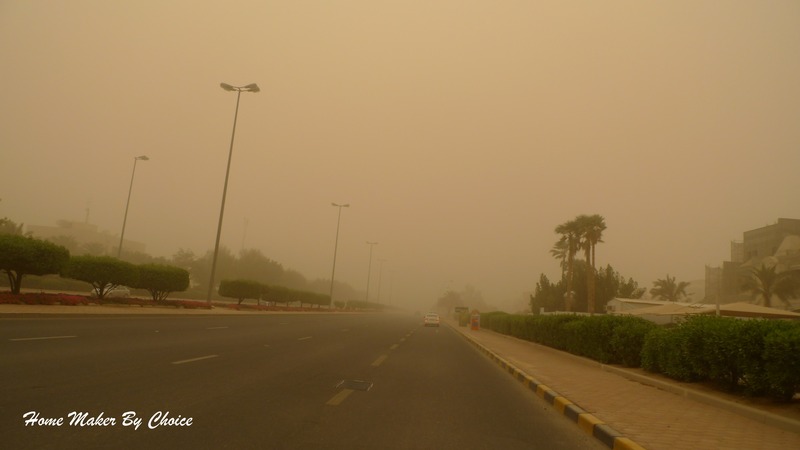 Today once again Kuwait is covered with dust, visibility in the morning only few hundred meters. I’m quite surprised that when I sent my kids to school at 7:30am there was practically no traffic jam at all… well I guess everybody decided not to go to work or school today ha ha ha… and true enough, at 8:30am my daughter, Aina called and told me that I could come and pick her and Nurin up if I wish because there were not many students in their classes but later decided to stay until the school finishes. This dusty weather is predicted to dwindle early Thursday morning, insyaallah. There is nothing good that come with dusty weather except for a drop in temperature. True enough, today’s temperature at 2:30pm was 27C whereas the last few days were about 34C. 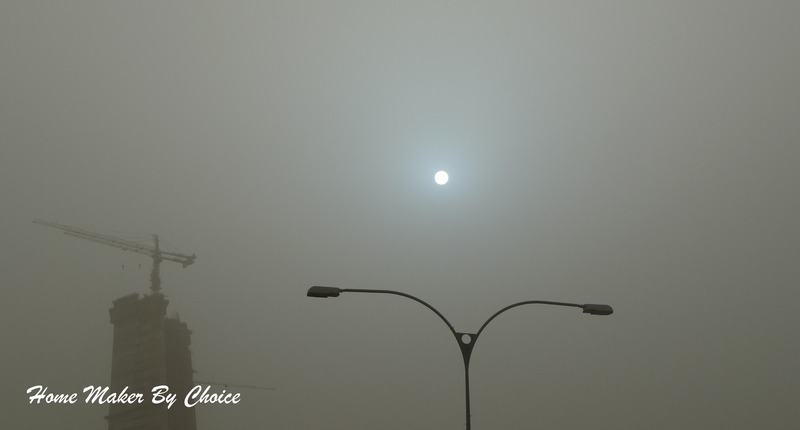 This was the sun at 4:30pm...it looked like a moon,right?